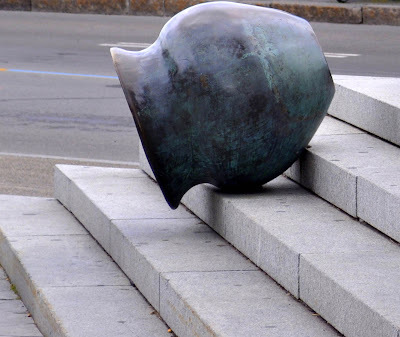 This photograph of an urn teetering on the steps leading to an art gallery seemed like something I could pair with some of my new abstract art textures. Thought I would share the results here. Here I used the texture "Gold Room" to marry with the urn. (Both are added to the new piece of art in the corners for the sake of demonstration only.) I rotated the texture 90 degrees (Image>Rotate) before applying it to the photograph. Blending in Linear Light at 85% Opacity and I had a new piece of photo art. How easy is that?!! 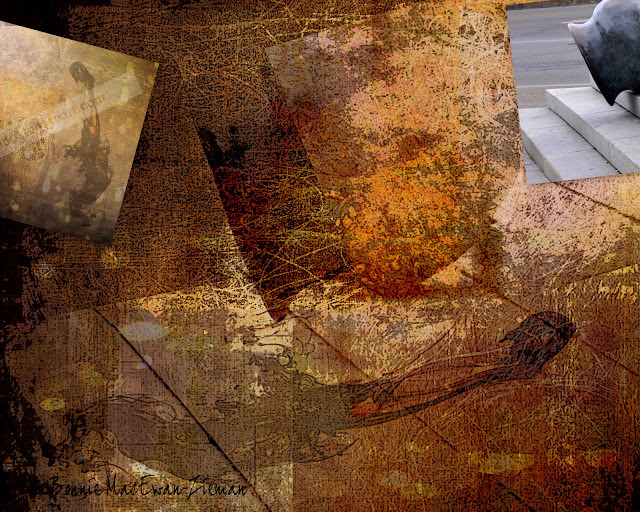 Same urn photo with the addition of my "Abstract & Embossed" texture (added to upper left corner for demonstration purposes only). These two basic components were blended in Difference blend mode using 90% Opacity. 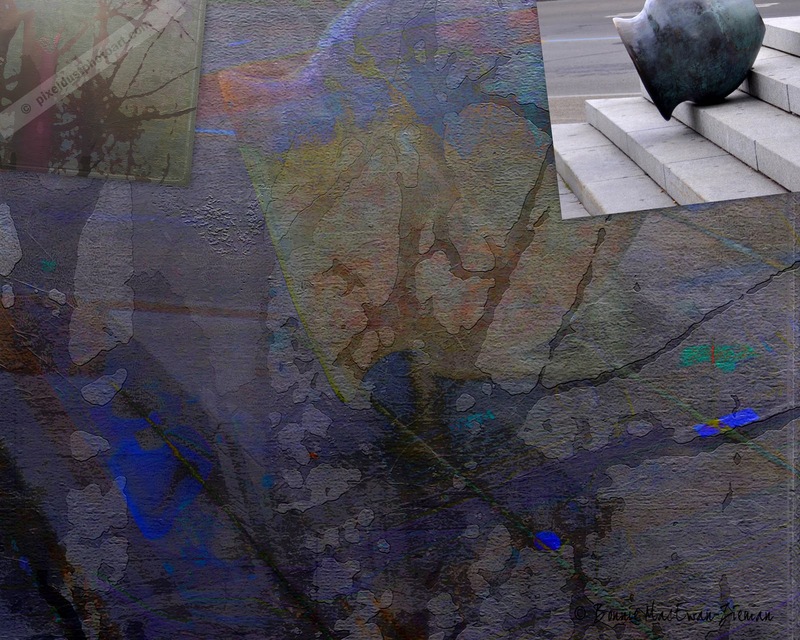 I love how you can so easily achieve such different looks with the use of these abstract art textures. Hope you will try them out and share the link so I can take a peek! 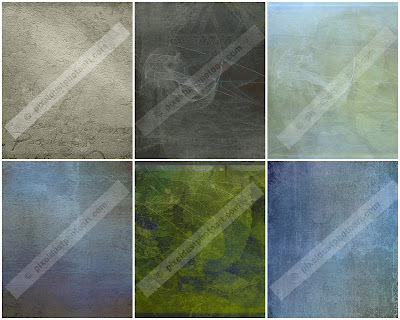 Samples of individual new textures recently added to my shoppes. I have added a few new textures to both my Abstract Art Shoppe and my Art-Easy Shoppe. Do check them out. You may find exactly what you need for an art project of your own. Never mind Bonnie, I just read the answer to my own question..... DUHHHH! Lovely abstracts! your work is always so unique and interesting. thanks for sharing it here!! I really LOVE the Gold Room texture - gorgeous! I like all your textures, but that one... wow! Such an amazing difference between the two Bonnie. Love them both, and the original image is wonderful! Oh the Gold Room texture is my favorite! Really love effects on both!